Geared for absolute convenience with Lambton public school and village life footsteps away plus the university, major shopping centres and the John Hunter Hospital easily reached within minutes, this well-presented home is hugely appealing from an investment perspective. Also a terrific find for first home buyers and young families, its practical 3-bedroom offers all the convenience of single level living with an attractive kitchen, separate lounge, sunroom and full bathroom with shower over bath combination, while the backyard delivers a secure space for children and pets to play safely. * Single level and freshly presented home on a secure 322sqm parcel. * Split-system air-conditioning to the living room and two bedrooms. * Light-filled kitchen with plenty of prep/storage space and outdoor connection. * Easy access to prized off-street parking for up to two vehicles. 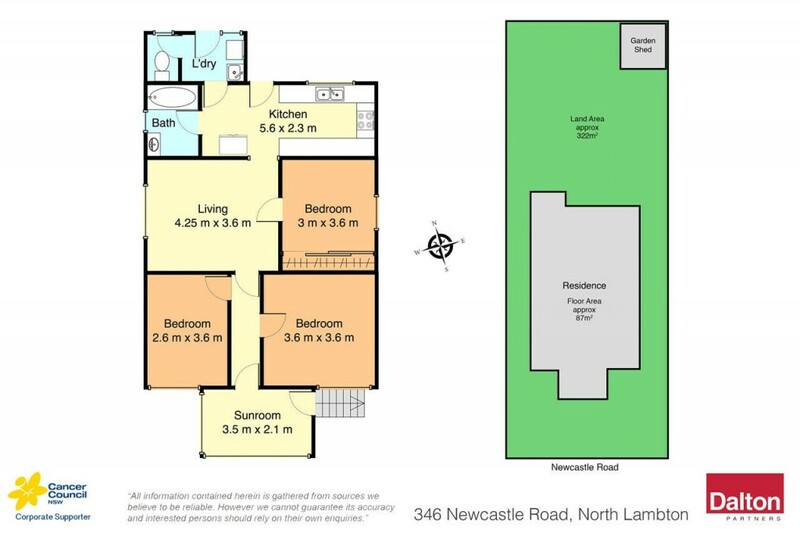 * Close to public transport with rapid access into Newcastle's CBD. * Walk to the village for your morning coffee or daily essentials.